It is impossible to completely avoid radon, as it is found in most of the world. Statistics show that the average test results for radon across the U.S. is 1.3 pCi/l. In Minnesota, two out of every five homes have radon levels that ‘pose a significant health risk’. The EPA suggests that when radon levels reach 4.0 pCi/l(picocuries of radon per liter of air) or more in your home you that steps should be taken to mitigate the gas. The best way to inspect your home is to have a professional radon test performed in your home. If the test results are high, an inspection of your home by a professional to assess the potential causes is recommended. In most cases, the cost to have a qualified professional install a radon mitigation system in your home is below $2000. The effects of radon are very hazardous, having your home tested and inspected is well worth the investment of protecting your family and your home. 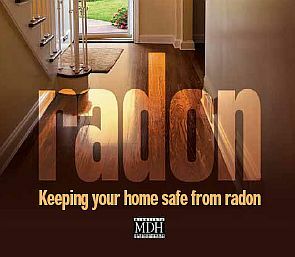 For a free copy of the Radon disclosure and brochure contact us.